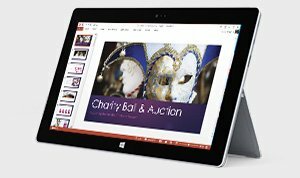 The 10" tablet that comes with Office1. At just under 1.5lbs, and pre-loaded with Office 2013 RT (now with Outlook), Surface 2 lets you carry less while you do more. Light in your hands, but loaded with improved graphics and Dolby audio, plus a faster processor, you can do more, wherever you are. 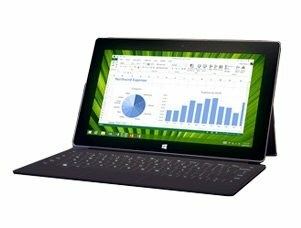 Surface 2 runs Windows RT 8.1 and comes with Office RT 2013 so you get touch-optimized versions of Outlook, Word, Excel, PowerPoint, and OneNote right out of the box.2 Create different user accounts for privacy and security. The 2-position Kickstand lets you work on your lap or at a desk, so you can work comfortably, no matter where you are. Use the onscreen keyboard or click in a keyboard3 and work even faster. Ports let you transfer files, connect to printers, get more storage, and plug into bigger displays4. 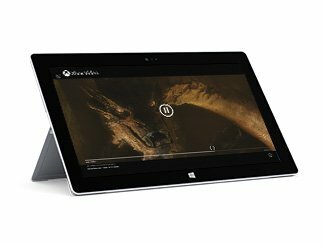 Whether you want to work alone or collaboratively, Surface 2 goes beyond "tablet" and functions like a real laptop. Surface 2 runs on the NVIDIA Tegra 4 processor, making it one of the fastest tablets on the market. 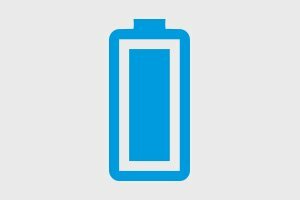 Thin, light, and with up to 10 hours of video playback, you can power through your day on a single charge. Stay entertained with all your favorite music, movies, and games. The 2-position Kickstand gives you a hands-free way to enjoy video on the Full HD display. Enjoy Dolby audio as you stream millions of songs for free, and import your iTunes playlists5. Integrate all your favorite social content with free apps like Facebook and Twitter. 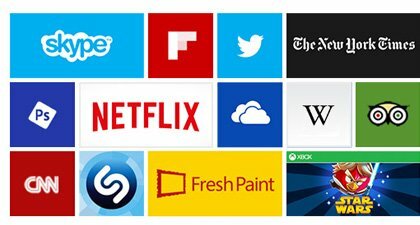 Choose from lots of apps in the Windows Store so you can do more. With 1080p full HD video cameras, video chat has never looked better. The 3.5MP front-facing and 5MP rear-facing cameras take crisp pictures. Use the panorama feature to get a truly immersive photo experience. 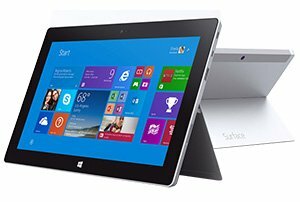 Surface 2 comes with apps that help you socialize, stay in touch, share and view documents, organize photos, listen to music, and watch movies. You can find even more apps in the Windows Store. Surface 2 comes with Microsoft Office 2013 RT. Some functionality may be limited. See Office.com/OfficeRT. Comes with Office Home and Student 2013 RT and Outlook 2013 RT. Some features and programs unsupported. See http://office.com/officeRT. 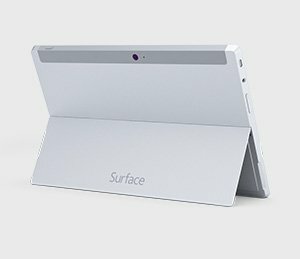 Surface Covers are sold separately. Adapter may be required; sold separately. Xbox Music account required. Data charges may apply. Limits on free streaming apply. Available Xbox Music features and content may vary over time. See xbox.com/music. Top Level Categories for Microsoft Surface 2 (64 GB).